Jules DeMarco was relieved that her visions of looming tragedy disappeared when she was able to save the life of Sawyer Angotti. But her relief quickly turns to horror when she discovers that in saving her new boyfriend's life, she passed on the visions to him. Sawyer's visions are of a different tragedy--instead of a crash, he sees a shooting. Finding a shooter in all of Chicago seems impossible, but Jules know that she and Sawyer can't ignore these visions, even if it means putting themselves and the people they love in danger. 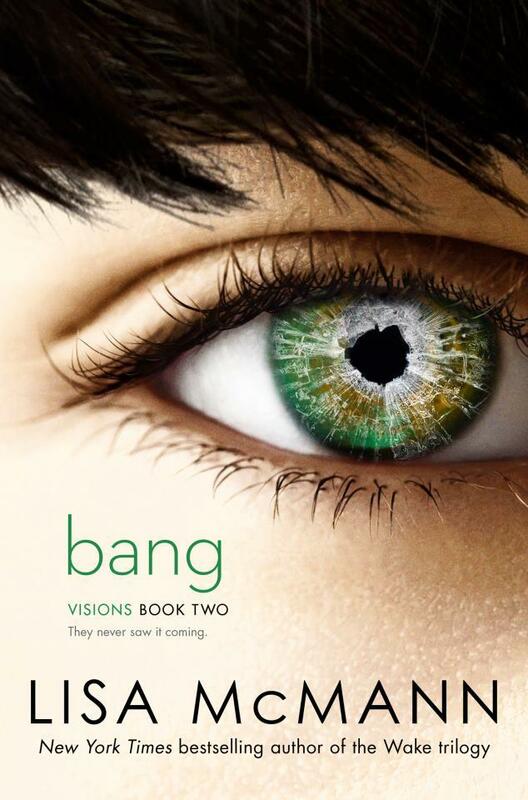 Bang is just as compelling, darkly witty, and intense of a book as Crash. Jules is extremely happy to have discovered that Sawyer is interested in her romantically, and a bit bewildered to find her feeling reciprocated. However, their relationship, while simultaneously hot and tender, is still under attack by both of their families, making it hard for the couple to even speak on the phone, much less figure out the essence of Sawyer's visions. The events of Crash have only solidified Jules's relationship with Sawyer, making her even more determined to assert her independence from her family by combating the ridiculous grudge they each hold. Jules also learns to lean on her own siblings even more, acknowledging that her little sister has her own life and responsibilities, and that her older brother Trey can be relied upon as she and Sawyer try to track down a shooter. The climax of the book has much higher stakes than that of Crash, and will seem especially chilling in light of recent events and current social issues. McMann handles the shooting tactfully, with an emphasis on tolerance and without glorifying the actions of Jules, Sawyer, and Trey, as heroic as they may be. The novel concludes with a dark revelation as Jules realizes a pattern in the visions she and Sawyer have shared, and she becomes determined to understand the nature of this terrible "gift" and why she received it in the first place. 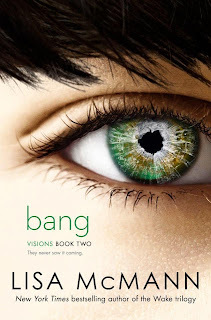 Bang is a tightly-written novel with an unusual mystery, an unforgettable voice, compelling family drama, a heart-pounding romance. Cover Comments: I like this cover a lot--it matches the cover of Crash, and it's not completely girl-ish that it would deter male readers from picking it up. The symbolism of the eye, and the shattered glass in the iris is excellent. Bang will be released on October 8th, 2013! Now I am convinced to get a copy of this book. Thanks to your review.